Wellllllll, Merrrrrrry Christmas! I’m so excited to have you here today. 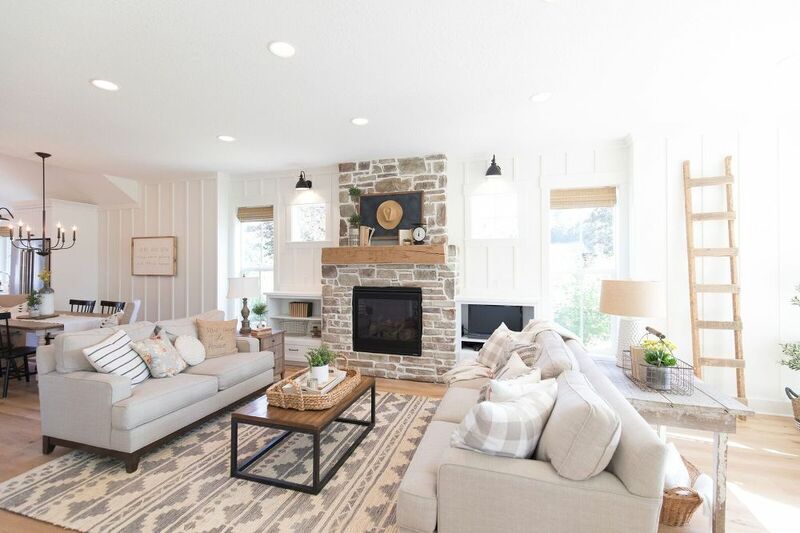 This won’t be the fanciest holiday home tour you’ll see this year…but that’s why it’s just perfect for our little family. A simple palette of fresh greens, festive Christmas reds, rustic woods, and plenty of heart. It always starts with a little inspiration to spark an idea. A song, a feeling, a color…well, I’m pretty traditional when it comes to Christmas colors (give me all of the red & green! ), so I decided to go with a song…for some reason I couldn’t shake the tune from “All is Well” for days. Literally. For days. I scrounged up an old rustic board from the garage, and painted the words on it…YES! Just the push I needed…the rest was easy. 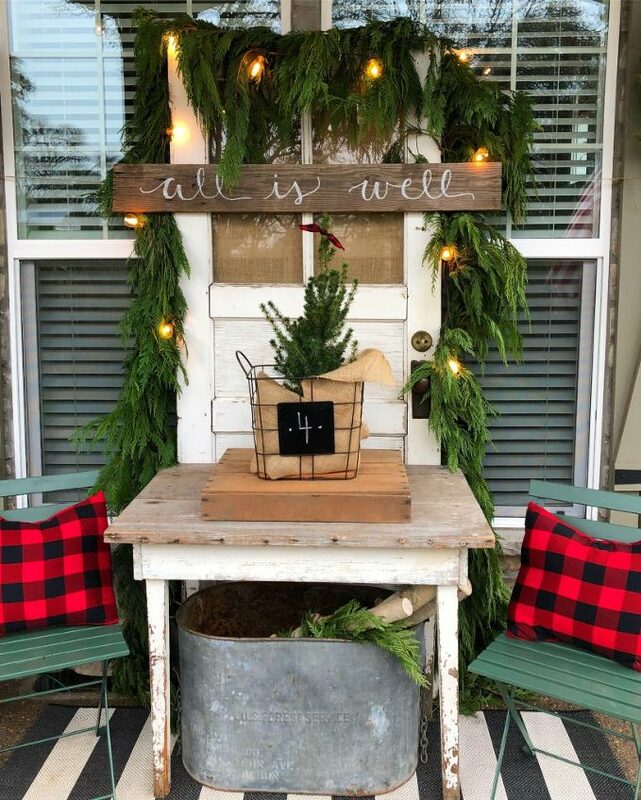 An old door as a backdrop, fresh cedar garland, and some buffalo check pillows…DONE! Simplicity = IMPACT. Which is very lucky for this girl, because simplicity was the ONLY way to go this year. 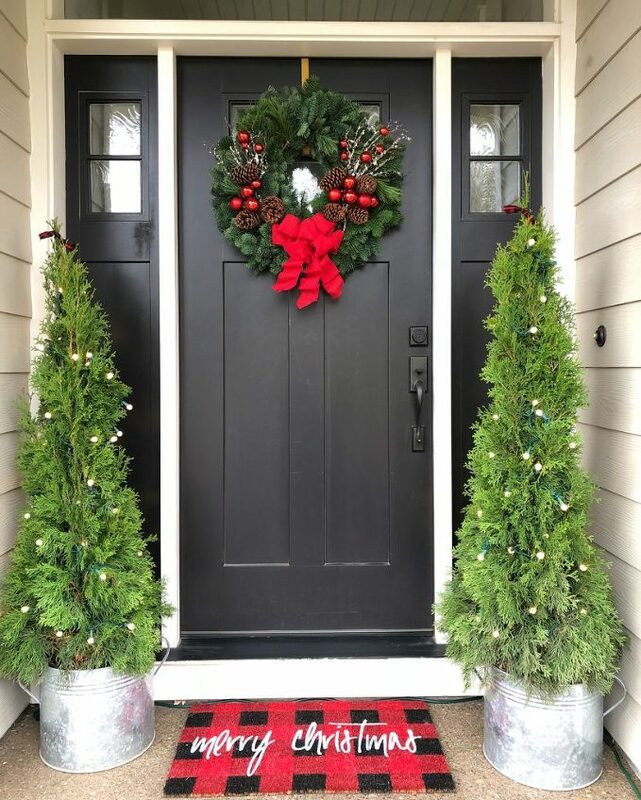 A fresh wreath from Lynch Creek Farm and a darling mat from Fifth and Grace were fun additions to the front door area. 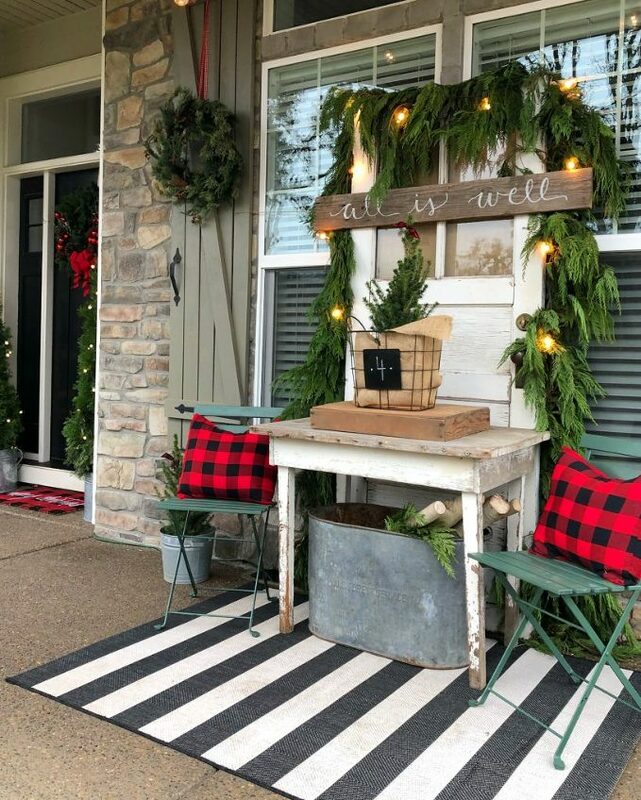 In the entry, a chalkboard is a fun backdrop to this sweet, delicate wreath (found at a local holiday bazaar, made Laura Jenkins, find her etsy shop here!). Laura has the most AMAZING booth every single year, and my sister and I always rush directly to see her stuff first! The darling “All things lovely” bag was a gift from my sweet friend Abby…you can find her on Instagram @mrsabbychic. What a thoughtful surprise! Let’s get to the main attraction around here, the TREE! Simple, “airy”, humble, unexpected. We had so much fun going to cut this beauty in the foothills of Silverton, Oregon. It’s a wild Noble Fir, and the high elevation where it grows causes this “spaced out” look…our FAVORITE! This type of tree allows the ornaments to be displayed so beautifully…you can really see and appreciate each one. These tree banners are a pretty addition this year, made by Laura Jenkins. I’m sharing a few close-ups with you…sometimes the little details get lost in the big picture! The dining table was kept ultra-simple this year, and I must say, I LOVE it. And guess what? We actually have room to EAT here, instead of moving a huge vignette out of the way. 😉 You’re welcome, family. This year I thought it would be fun to add a faux tree to our bedroom, and it makes it feel so cozy up there! Wanna see? My favorite thing this week has been to enjoy the tree lights each night while reading or watching tv…I can’t believe we’ve never put a tree right there! Thanks so much for dropping by today. It’s always a treat to have you here! Mary jo - Good morning! Jana where did you get you headboard from in your bedroom? 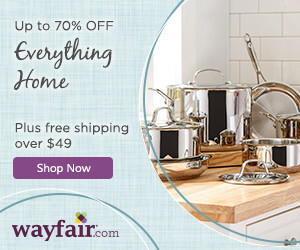 Penny Johnson - So crisp and beautiful all the way through from the front porch to the cute corner in the bedroom…you are amazing at putting things together so perfectly! Thank you for each picture that you shared! 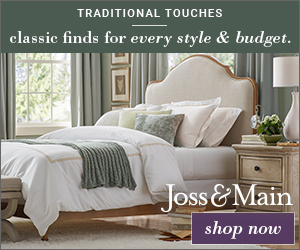 Mary jo - I found your headboard on shop my home!